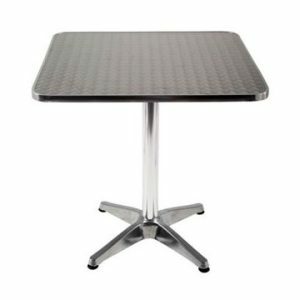 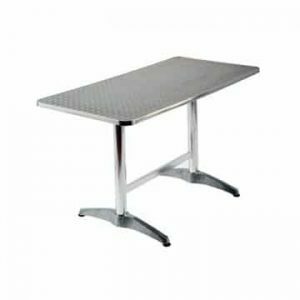 Lightweight in design yet strong and sturdy enough to be suitable for a whole range of occasions, both indoors and outdoors, this selection of plastic trestle tables are truly versatile. 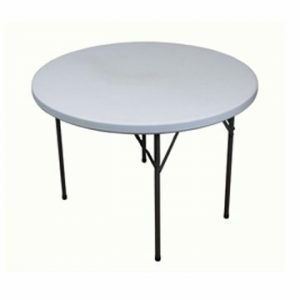 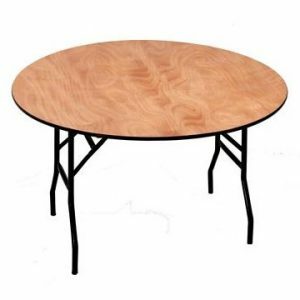 This particular model is the Ningbo Furniture 3ft 8in (115 cm) round, plastic catering table. 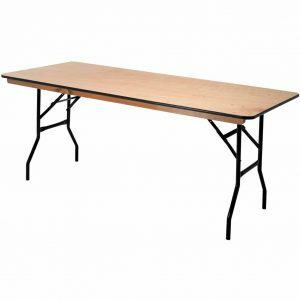 The blow moulded table top makes it very easy to wipe clean, so if there are some accidental spillages or if the rain comes down during an outdoor event, a quick wipe sees them ready for use again. 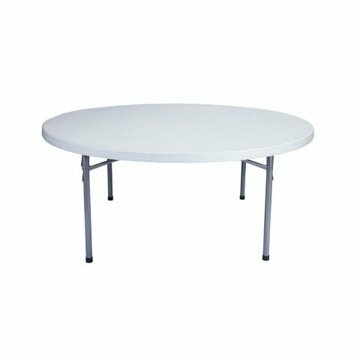 If you are in the middle of an outdoor event and the weather does turn against you, the tables can be quickly folded and moved into an outdoor venue and ready for use again within minutes. 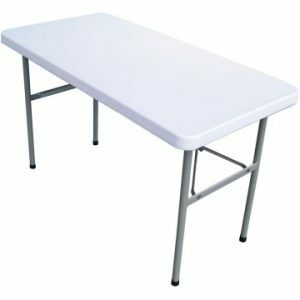 If you have suitable storage space, they can be folded flat and stacked as many as 20 high. 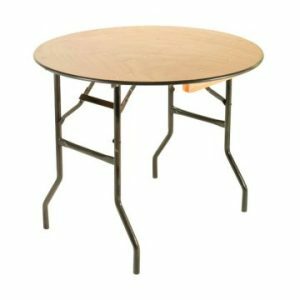 If you want to avoid most of the lifting and carrying, then you may also be interested in our round table trolley (available separately).